David Nemeroff values his relationships with lawyers across the state and the country, and he works closely with referring counsel to make sure case information is regularly available and referral fees are maximized. Attorneys trust Mr. Nemeroff to represent their mutual clients because he is an experienced litigator who will always takes primary responsibility for all aspects of a clients' case, from depositions, hearings, trial preparation to trial. He will never pass your client's case off. Mr. Nemeroff has successfully handled numerous complex cases, including major impact truck and auto accidents; high-damage product liability cases; and severe adult, child and infant brain injury cases. He is trusted counsel with a dedication to legal excellence, personal service, and aggressive advocacy. 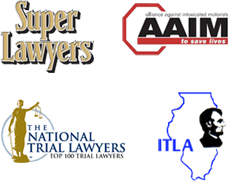 Please feel free visit our Attorney Profiles and other pages to learn more about our practice, or contact us for further information.